Held at Mawley Park Motor Camp from 6th to 12th May 2007. There was also a newspaper story and press release about the foray. An additional report was written by Petra White. 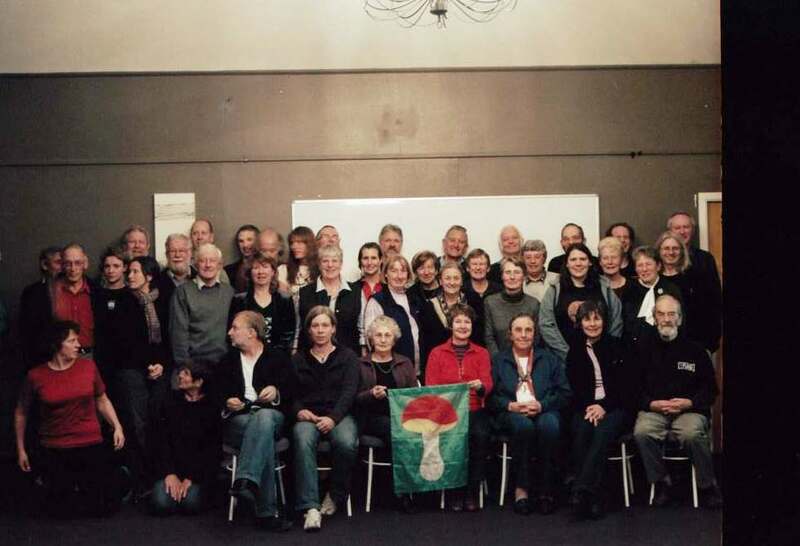 Peter Austwick, Di Batchelor, Chris Petersen, Ross Beever, Ann Bell, Dan Mahoney, Helen Bichan, Margaret Bryant, Peter Buchanan, Brian Butterfield, Pam & David Catcheside, Simon Cook, Jerry Cooper, Helen Greenep, Bill Fairweather, Lynette Fischer, Tegan Garland, Genevieve Gates, David Ratkowsky, Malcolm Greenway, Janice Griffen, Susan Hansard, Maxine Hartley, Gwen & Don Horne, Fran Kell, Patrick Leonard, Geoff Monk, Pauline & Ross Muir, Aidan O'Donnell, David Orlovich, Elizabeth Orton, Barbara Paulus, Shaun Pennycook, Sue Petch, Michael Pilkington, Matt Power, Tod Ramsfield, Innes Ritchie, Julia Russell, Margarete Treacher, Petra White, Paula Wilkie, Gae & Craig Wilson. A complete species list can be downloaded here. Mt Holdsworth (289), Kiriwhakapapa (79), Waiohine Gorge(74), Fensham Reserve(62), Mt Bruce (59), Lowe’s Bush (31), Pigeon Bush (24),Carter Scenic Reserve (23). 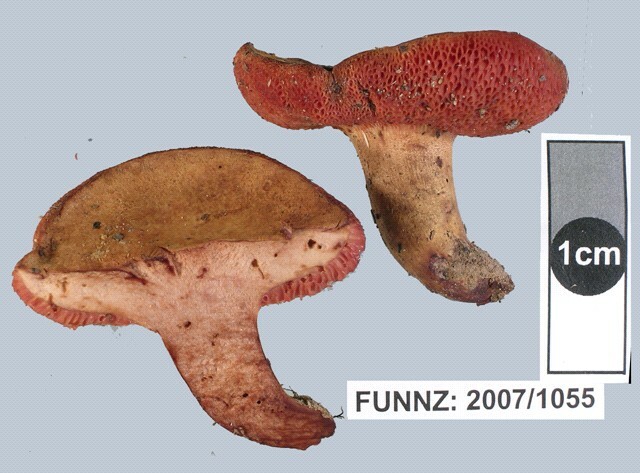 Russula papakaiensis was collected by Di Batchelor from the Mt Holdsworth site. The record was confirmed by Pat Leonard. Chalciporis aurantiacus was collected by David Orlovich, also from the Mt Holdsworth site. The record was confirmed by Jerry Cooper. This fungus has turned up sporadically on forays and is perhaps best described as rare rather than critical. 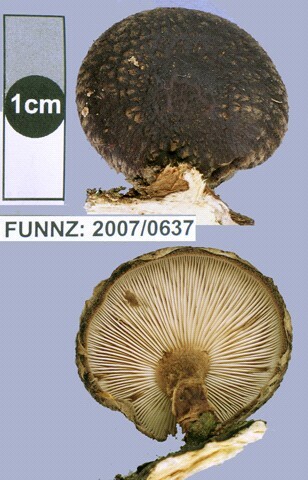 Omphalina foetida sensu G. Stev. 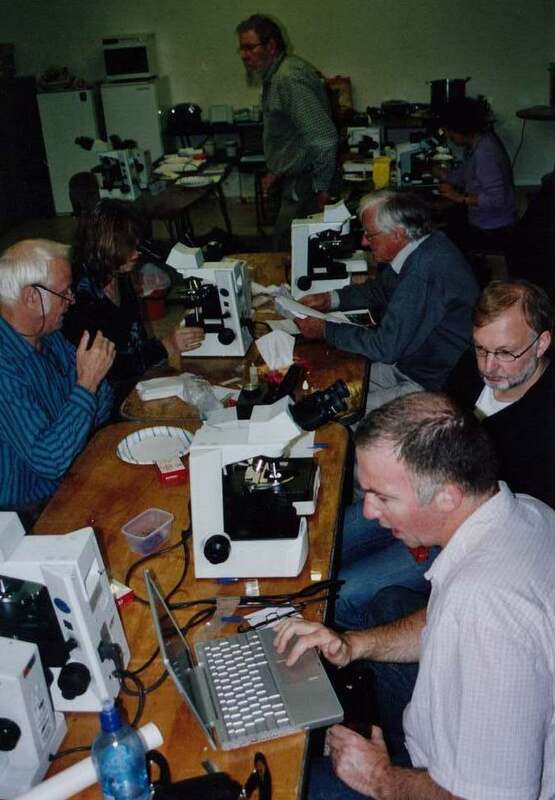 Several species were added to the New Zealand list, or were so poorly known they were only represented by a single collection in PDD. Some of these are records of European and North American exotic fungi (and some require confirmation). 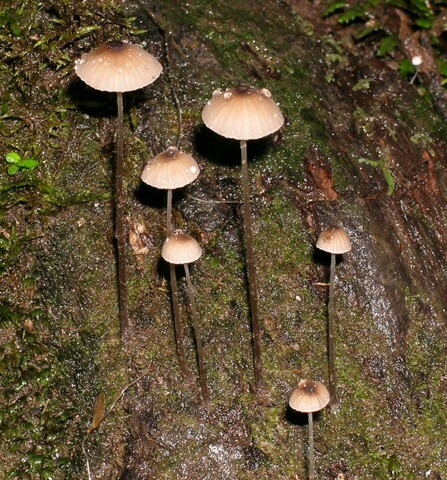 A number of Crepidotus and Tubaria species were recorded that correspond to new species to be described in a forthcoming volume of New Zealand Fungi by Egon Horak. 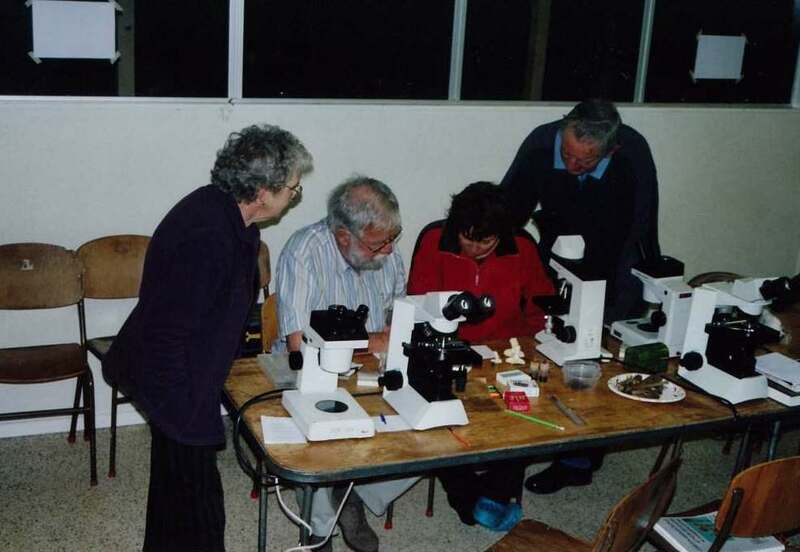 And similarly a number of Gymnopilus species were recorded that will be described by David Orlovich. 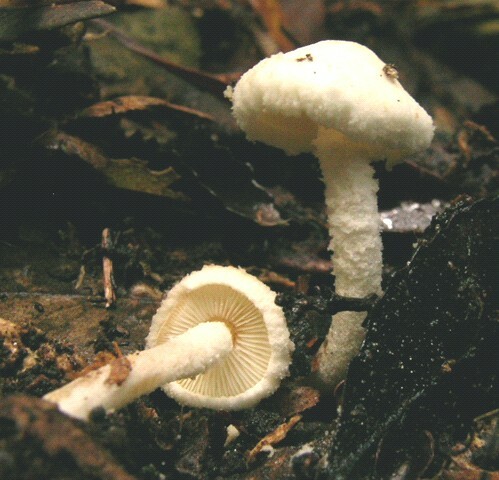 Amongst the remainder poorly known NZ taxa the following are notable: Cystolepiota hetieri (new record) Dendrothele biapiculata (type only) This species is only known from New Zealand and Argentina. 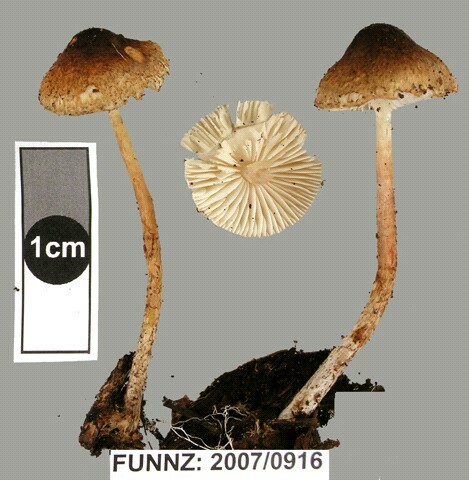 It belongs to a genus of resupinate fungi that has been reported to be particularly diverse in New Zealand compared to the Northern Hemisphere. 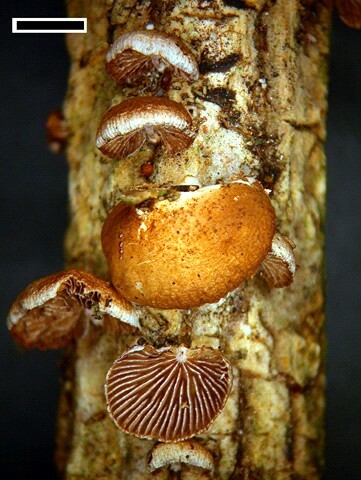 Dendrothele biapiculata has distinctive D-shaped spores. 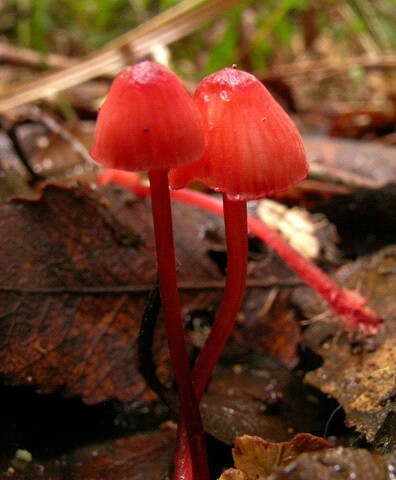 Mycena detrusa aff. This unusual tiny Mycena has turned up a number of times on forays. It has an orange colour and a distinctly parabolic cap. 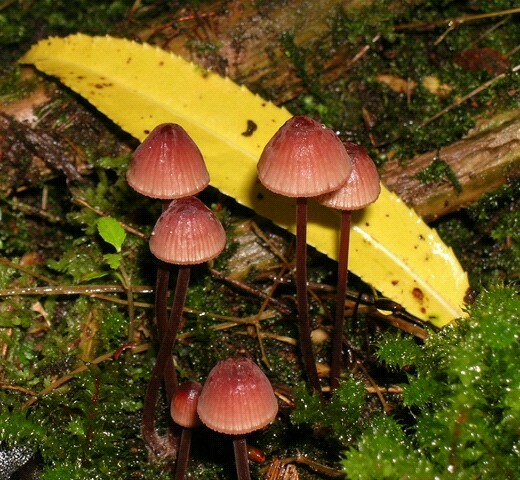 It is clearly in the ‘picta’ group and has been mistakenly referred to Mycena mamaku and Marasmius cylindrocampanulatus. 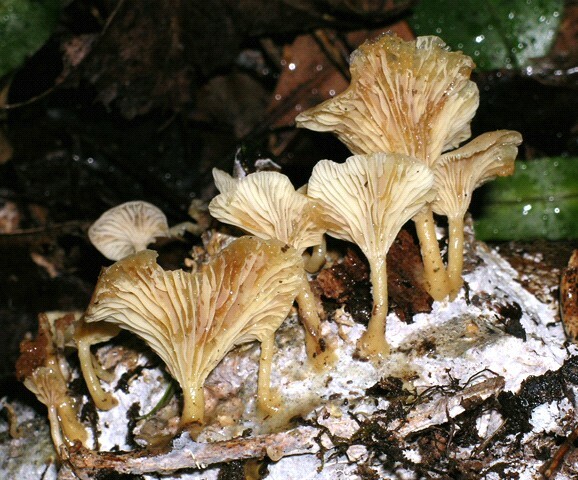 It is closest to Egon Horak’s Mycena detrusa described from Papua New Guinea but differs in its cheilocystidia. Neoclitocybe byssiseda (new record) Probably common but not previously recorded. Tetrapyrgos olivaceonigra (type only) This is a tiny fungus with the appearance of a Campanella (sensu stricto, i.e. with gills reduced to folds) but surprisingly with pyramidal shaped spores. Recent molecular work places Tetrapyrgos as an adjacent clade to Campanella. Singer treats them all as Campanella as does Tom May. 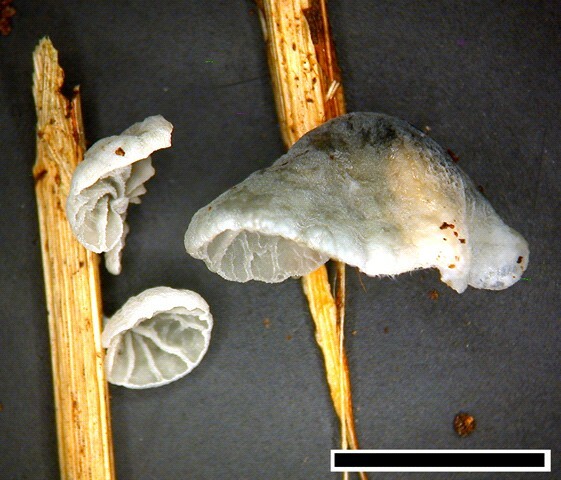 The fungus has been recorded in Australia. Hyphodontia alutaria (new record) This is a resupinate species with a cosmopolitan distribution that has been rarely reported from South America and only recently from Australia (Lepp 2004). 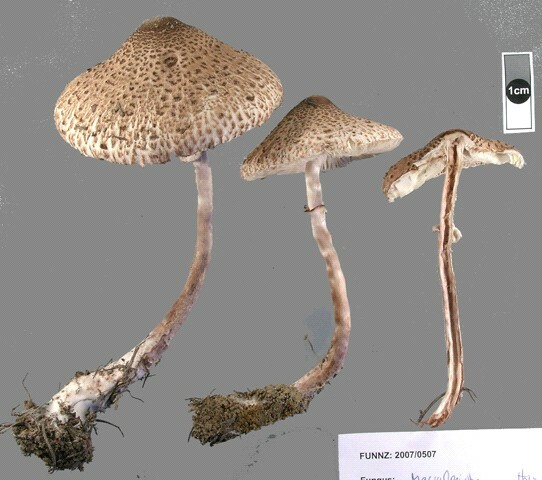 It is similar to a paleo-tropical species (H. propinqua), distinguished primarily by smaller spores and fewer cystidial septa. Melanotus vorax (type only) Resupinatus huia (type only) Scytinostromella heterogena (new record) This is a distinctive, resupinate species with a delicate, buff fruiting body. 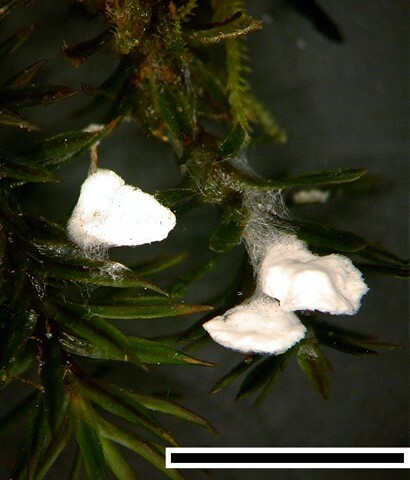 It has a dimitic hyphal system and small ellipsoid, ornamented spores that turn blue in Melzer's reagent. It has been reported previously from France, Morocco, Ethiopia and India. Crinipellis filiformis (1 record) This looks like C. procera but is very much smaller and growing on leaves rather than wood. The limited number of records suggests it may be a specialist of Beilschmiedia litter. Bourdotia galzinii (1 record) This resupinate fungus in the order Tremellales has a cosmopolitan distribution and is characterized by a resupinate, waxy-gelatinous fruiting body, stalked, septate basidia, long, slender gloeocystidia and finely branched, sterile elements. 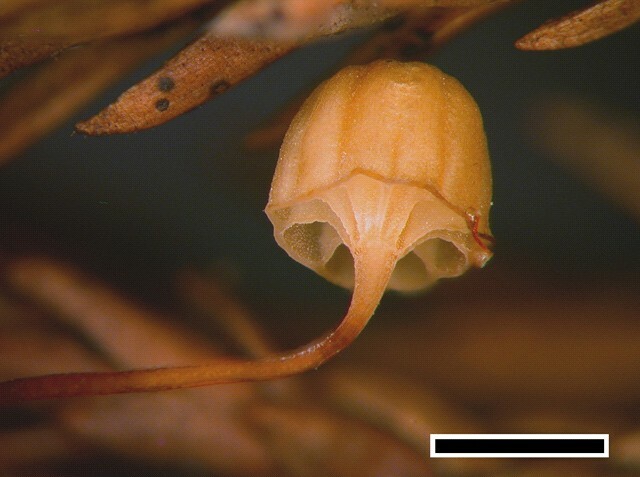 Resupinate members of Tremellales are abundant in New Zealand forests but require further study.